Industry 4.0, commonly referred to as the fourth industrial revolution, is rapidly changing manufacturing processes, through a combination of the Internet of Things, connected products and data mining. Within this framework, the laser is not an independent system anymore, but an integrated component in a smart value chain. With its Laser 4.0® program, Amplitude is at the forefront of this revolution. Through a combination of sensors, communication devices and data analysis, Amplitude offers the mean to guarantee long-term laser up time, sophisticated fleet management and increased production yield. As a European Union incorporated company, Amplitude complies with strict privacy laws and gives complete control to the user about data sharing. 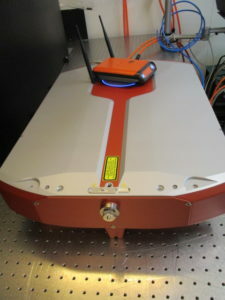 More information about Amplitude’s Laser 4.0® program.